Bas de Groot has always been a big fan of milk, drinking 3 to 4 liters of it every day, but he truly became fascinated with it after tasting raw farm milk for the first time. The strong, layered flavors inundated his senses and left him wondering what milk from different regions of the Netherlands tastes like. 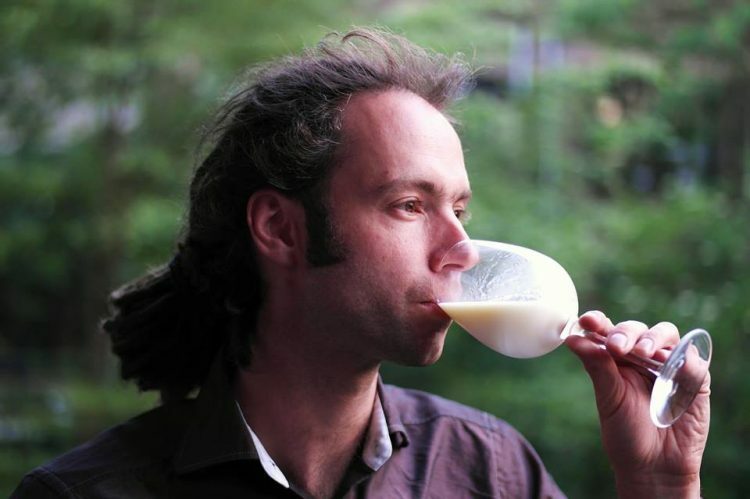 As the world’s only milk sommelier, Bas now travels the globe, tasting raw milk, and educating people about its special properties and benefits. Up until just a week ago, I though the word “sommelier” only referred to wine, but then I read about Martin Riese, America’s first and only water sommelier, and today I learned there is also such a thing as a milk sommelier. Bas de Groot is the only person in the world to hold such a title, and while, unlike the best wine sommeliers, he is not yet able to recognize certain milks by flavor alone, he can detect certain differentiating notes based on the cows’ diet and the soil they feed off of. Bas regularly organizes milk tastings, where he offers people supermarket milk and raw or biodynamic milk and goes over their distinct characteristics. They smell, swirl and taste the milk and then have discussions about each sample, where it came from and why it tastes a certain way. For example, milk from grass-fed Jersey and Meuse-Rhine Ijsselkoe cows has a high fat and protein content and tastes totally different from that of corn-fed Holstein and Frysian cattle. He claims that both the breed of the cow and its diet greatly influence the taste of its milk. And there’s nothing Bas de Groot hates more than the bland taste of supermarket milk. By homogenizing the milk, fat globules are reduced in size and dispersed uniformly through the liquid, and that greatly reduces the complex taste. He claims it just makes it taste “fat”, and while there is technically nothing wrong with that, non-homogenized raw or biodynamic milk is infinitely better, because you can taste multiple layers, like with coffee or wine. Another common process that Bas has a problem with is pasteurization. He claims that pasteurization once made sense, but not today. There was a time when people could get TB from milk, but that’s not a realistic risk anymore, and we have ways of detecting other dangerous bacteria nowadays. He claims that as long as you are not pregnant and are hygiene-conscious, raw milk is perfectly safe. Raw milk, on the other hand is completely different, it has a rich taste, that most people have never even tried. 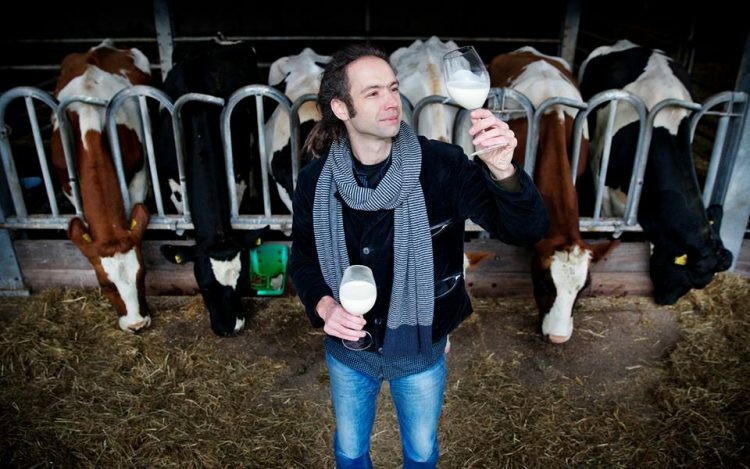 And by educating people as a milk sommelier, Bas de Groot hopes to change that. 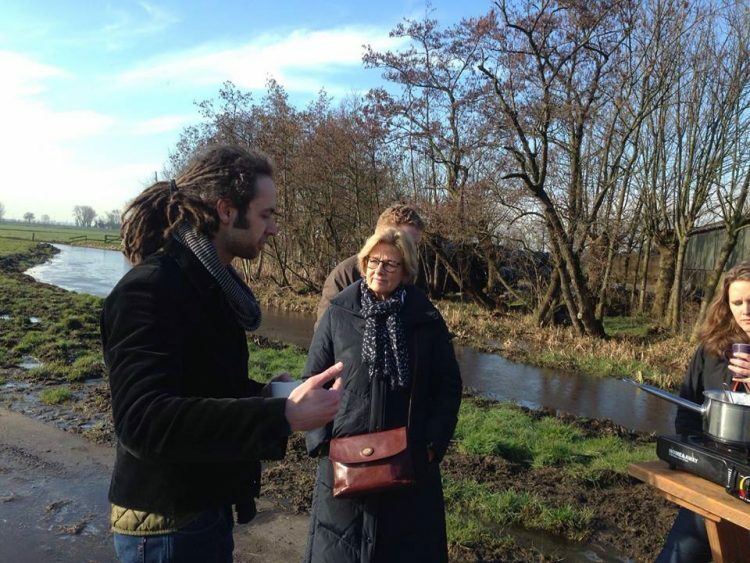 “The main thing I do is telling the story of the rich diversity of milk,” Bas says.